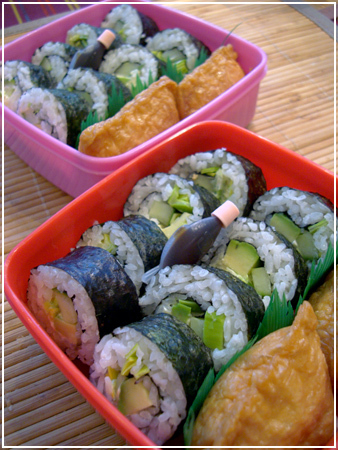 Bento #308 – picknick bento! 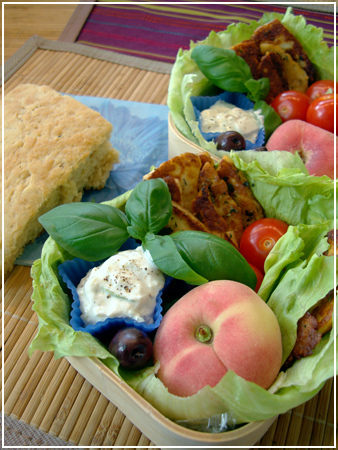 Two picknick bentos! We’re escaping the Royal Wedding chaos in town by having a picknick in nature. Fried Halloumi, cherry tomatoes, iceberg lettuce, basil, tsatsiki and olives, and one of those small peaches that seem to be the new fruit in supermarkets this summer as dessert! Homemade pita bread on the side. Very simple – veggie maki rolls (cucumber, avocado, leek and mayo) and inarizushi left over from dinner, and a soy fishy. Puff pastry pocket stuffed with ricotta and pumpkin, broccoli, red bell peppers, parsley and a candy in the big box. 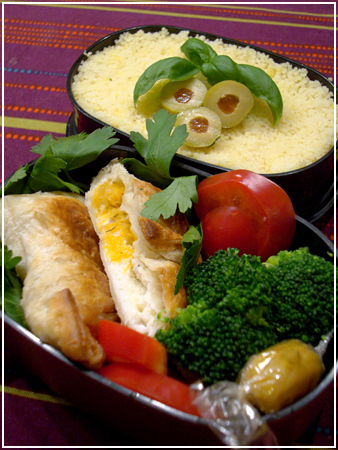 Couscous decorated with some olive slices and basil in the small box. 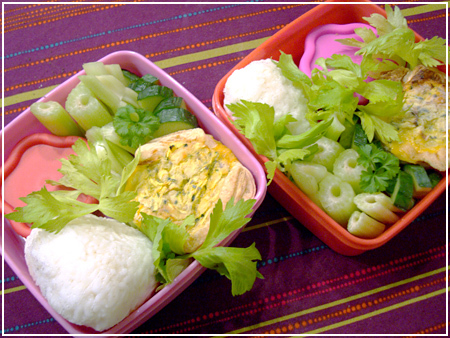 Something quick from the freezer stash prepared this weekend: Mini quiche, onigiri, cucumber, celery and the flower containers (aren’t they adorable?) have peanut butter and raisins for the veggies. 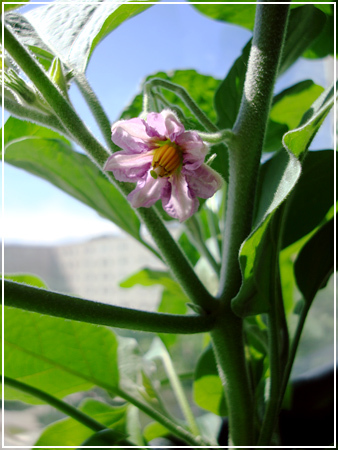 I’m growing something new on my windowsill this year! Anybody want to hazard a guess what this lovely flower will grow into? I made this one a while ago, but forgot to post it until now. 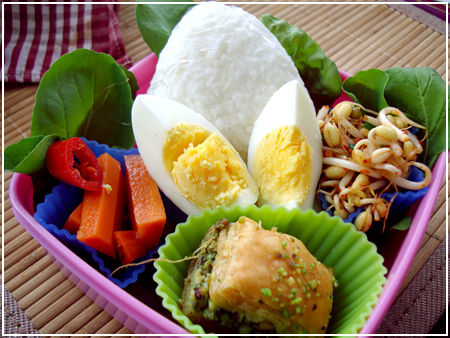 A simple box with an eclectic collection of food from around the globe – onigiri from the freezer stash, hardboiled egg, homegrown rucola, chili and carrot pickles, beansprout kimchi, and a baklawa for dessert.